Chicago Bears at Seattle Seahawks, Seahawks won 26-0, covering the 16-point spread. San Francisco 49ers at Arizona Cardinals, Cardinals won 47-7, easily covering the 6.5-point spread. Buffalo Bills at Miami Dolphins, Bills won 41-14, being a popular underdog to bet on, this was a huge hit. The game that put the last nail in the coffin was the Denver Broncos at Detroit Lions, where 10 times more money had been wagered on the Broncos than on the Lions. The main reason for this lopsided action, as vice president of CG Technology Jason Simbal stated, was a six-figure bet on the Broncos. With Peyton Manning at the helm, they managed to beat the Lions 24-12, sealing the sportsbooks fate. There were huge score differences, which is what led to big payouts to everyone that bet on the point spread being covered. 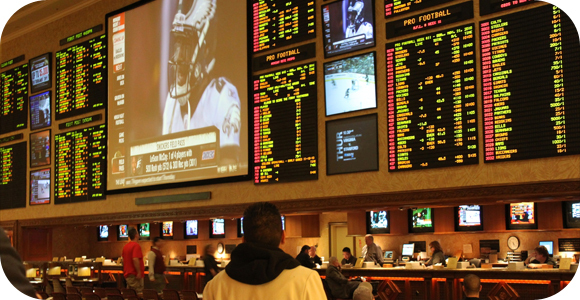 These are aspects of the sport that are simply unpredictable, but we are sure the Vegas sportsbooks will eventually make their money back and more over the next weeks of football. They could even start going with Cortana’s straight-up predictions, as they were 11-5 for Week 3.